We are celebrating 100 years of the RAF by bringing to you small excerpts from our special collector's edition bookazine "100 Years of the RAF 1918-2018". While the 1st April 2018 marks the 100 year anniversary, this special date is one we have been thinking about for quite some time. From the same team behind The Armourer magazine, we have produced a special 130-page bookazine to celebrate the heroes, the places, the planes and of course the history of the RAF. "The prototype Hurricane first flew on 6 November 1935, and the type became the RAF’s first modern monoplane fighter with eight guns and a retractable undercarriage. The first RAF unit to operate Hurricanes was 111 Squadron at Northolt which received its first aircraft in December 1937. 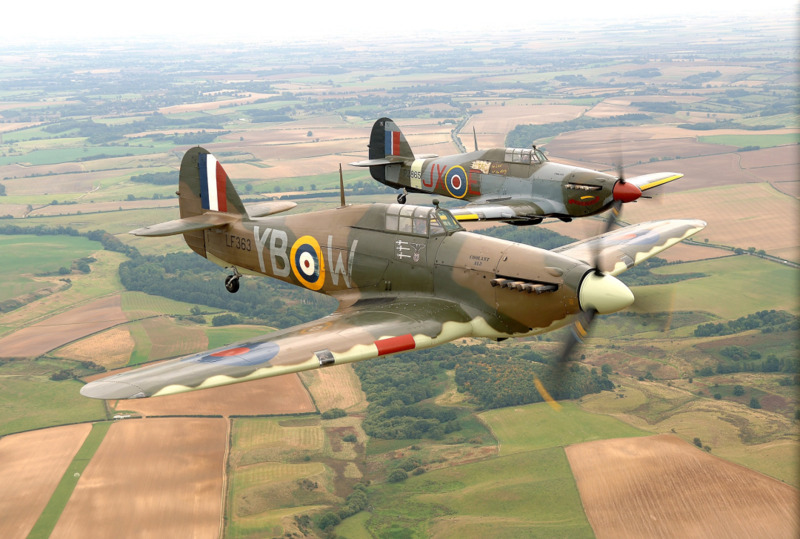 The Hurricane achieved much in its service: it shot down more enemy aircraft during the Battle of Britain than any other defence asset; it destroyed more enemy aircraft than any other Allied fighter during World War II; and it served in more theatres of war than any other Allied fighter – from the Battle of France to Malta, the Western Desert, Russia and South-East Asia"